"The rhythmic and cyclic alternating laminae represent periodic changes in the prevailing winds during the Jurassic as huge sand dunes migrated across a sandy desert. 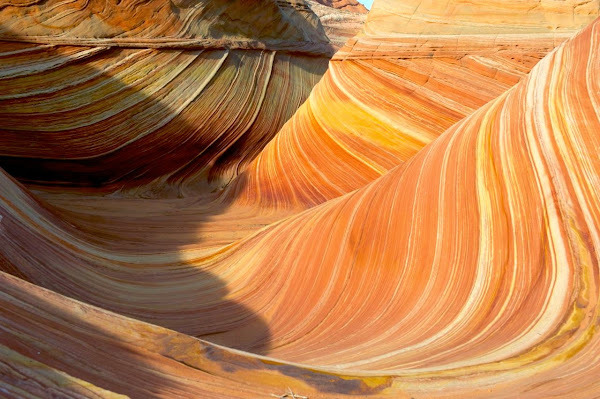 The thin ridges and ribbing seen within The Wave are the result of the differential erosion of rhythmic and cyclic alternating grainflow and windripple laminae within the Navajo Sandstone. These laminae have differing resistance to erosion as they have been differentially cemented according to variations in the grain size of the sand composing them."